In business as in life it is valuable to learn that the only constant is change and a business that is not constantly changing and adapting to the changing environment will have difficulty surviving. In the past 18 months I have completely changed my marketing strategy for my business (1-800-PLUMBING INC). I realized that many of the tactics I used are no longer cost effective and that it is time to try some different marketing techniques and determine what is effective in this economy. I have worked on solidifying partnerships with vendors and I have resorted to some un-conventional techniques, one of which I would like to focus on. 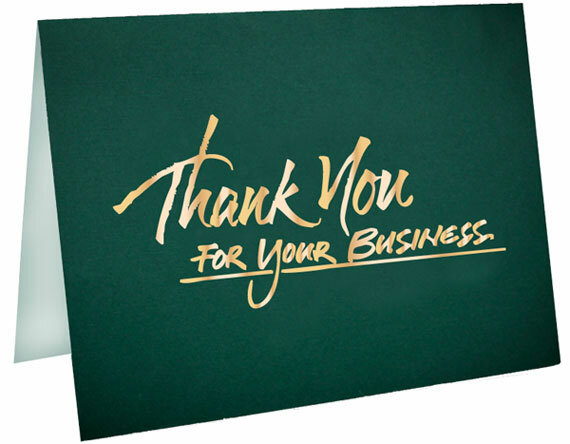 Very few companies send greeting cards to their customers. It is generally not cost effective to buy a card for $4 – $5, writing a message, stamping it and mailing it. To sum it up, sending a regular greeting card the old fashioned way is inconvenient. Sending an e-card does not have the same impact of a physical card and personally, I usually don’t bother to open e-cards for fear of introducing a virus to my computer. Email and e-cards are just not the same. Well I have had a much higher percentage of calls and I even had one prospect query me as to how many I sent and was I getting other calls. I think this is the most cost effective marketing strategy I have come up with in many years. I am still tallying the results, but I am already thinking of my next target market area. This is real good job. Kudos to the team! I love and appreciate the idea and now I’m convinced that Greetings Cards will definitely be one of the most effective marketing tools. Plus, in this era where experimenting with different marketing tools in natural, having greetings cards as another option is just great plus it is a combination of gut feeling and sense of logic that it will work out really very well.